Rota Installations Limited was incorporated in 2002 after the business owners had served 45 years of working in the kitchen fitting trade. Over the years our team has grown with a strong focus on continually improving the quality and customer service year after year, fostering a culture of passion and dedication across all our team members. Rota Installations has built a reputation for providing excellent customer service and an outstanding range of quality products. 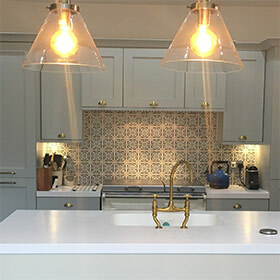 We have a growing number of satisfied customers and would invite you to browse our recent project page to view some of our recent designs installed. Our range is constantly updated to offer our customers the latest in stylish design trends, functionality and accessories. At our factory in Lanarkshire, we finely craft our products to the highest standard. With every element hand-finished and made to measure, we can guarantee a solution tailored to your needs. Though the latest technology, functionality and accessories, we can optimise the space available and our talented designers will ensure the most effective layout to match your individual requirements. Working in collaboration with you, our designers will create a kitchen that incorporates what matters to you, whether it be creative storage solutions, making effective use of lighting or adding in the latest technology products. Investing in a new kitchen is often one of the biggest financial decisions for our customers. We can achieve fantastic results with all types of budgets. We source materials of high quality, style and affordable components from suppliers that we know and trust. Every job is installed to the same high-quality standard and excellent level of customer service. 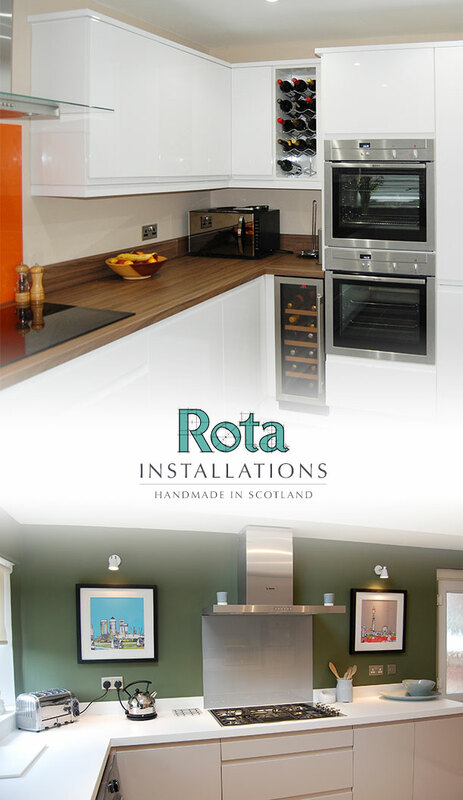 At Rota Installations Limited we make sure our customers are 100% fully satisfied with the service we provide and we do our very best to help our customers select the Kitchen or Bedroom that’s right for them. We do not promote any sales gimmicks or promotions and we pride ourselves on our honest and reliable service. We have a transparent pricing policy and have no hidden costs when you choose a Rota crafted stylish Kitchen or Bedroom. Every unit is custom built on our premises therefore Rota can offer a no quibble 5 year guarantee to our customers. Come and visit our superb showroom to view our versatile and inspired range of contemporary and classic styles that you can choose from at your leisure. Feel free to have a coffee and a light hearted discussion with our onsite professionals to discuss your ideas. Alternatively, one of our professional designers can visit you at home and show you a large selection of samples. By using the latest computerised graphics you can view your kitchen before making a decision to proceed and referrals are given on request. Our installation time is on average 5 days. Our tradesmen arrive onsite between 9am and 10am. We will take care of all electrical, plumbing and joinery work. We will also take care of disposing of all existing furniture. All of our tradesmen have the necessary qualifications. All work is done with minimum inconvenience to you and your family. At Rota we are flexible for both appointments and installation dates and times.